Ignore all of Doc Brown's ramblings about the ethics of time travel in the sequel; within the first ten minutes, we find out that it's perfectly fine for him to cheat death and get surgery to extend his lifespan an extra 40 years, though similar time-travel goals from others are completely unacceptable. In fact, his insistence on traveling to the future so soon after the end of the first movie comes down to the petty issues of his boy wonder's son of the future going to jail for a crime he willfully and stupidly agreed to take part in. So instead of simply telling Marty not to raise such a dipshit with his brain-dead high school sweetheart, it's off to the future where all of our problems can be solved with magic instead of tedious self-improvement. 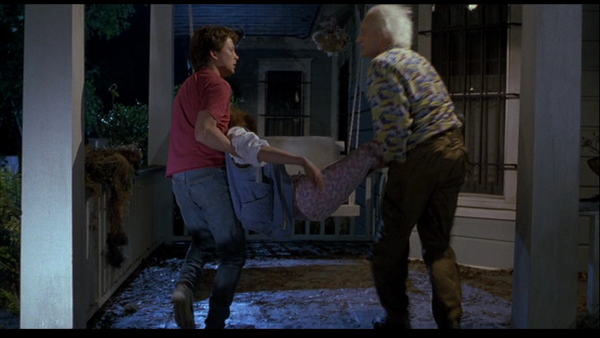 Of course, bringing Marty's girlfriend along was an unforeseen consequence that slightly burdens the goals of Doc Brown, so he gives Jennifer an electro-roofie and stows her body in a filthy alleyway, all while shrugging this off to his teenage friend as an acceptable way to treat women. And when the life and well-being of this fellow human being once again becomes added cargo in Doc Brown's egomobile, Jennifer is chucked out of his no girls club and onto a front porch like a soggy bag of leaves and X chromosomes. Her safety isn't even considered after Doc and Marty find out that Hill Valley has somehow turned into even more of a modern-day Detroit, despite the town's regular newspaper deliveries. They just hope things will work out for Jennifer's unconscious body in a crime-ridden slum as the two rush off to alter the new timeline based on their own needs. This brings us to the two possible fates of Jennifer in 1985 A. Repairing the timeline destroys 1985 A, and real Jennifer along with it. As all of reality crumbles around her, Jennifer barely has time to curse the name of one Doctor Emmett Brown. The repaired 1985 might have produced a new Jennifer, but at this point it wouldn't matter to Marty. 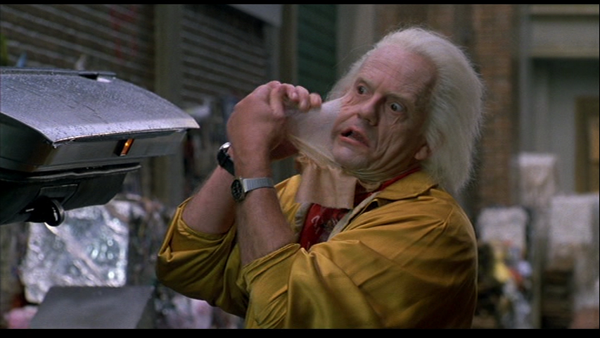 Doc Brown already taught him that other people are merely disposable commodities in the way of your personal goals. 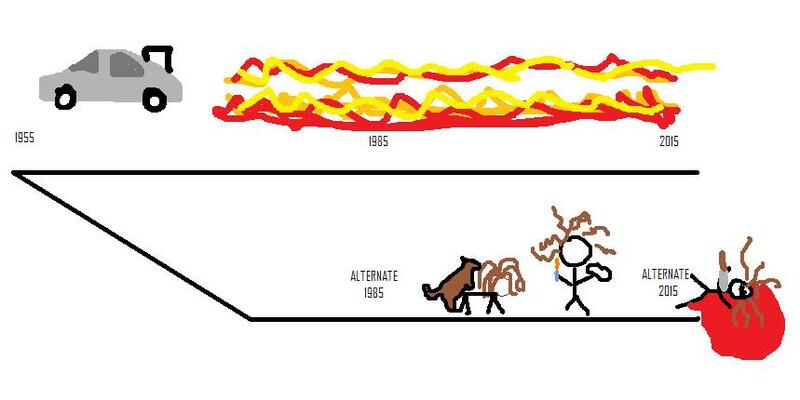 Here is an illustration by a meth addict. Virtual Indecent Maid 4 English F.A.Q. Proud American Magazine Asks: How Do You Feel About Immigration Reform?